Even if your game is a mess, you~ll look as polished as a pro in the stylish vineyard vines Links Short. 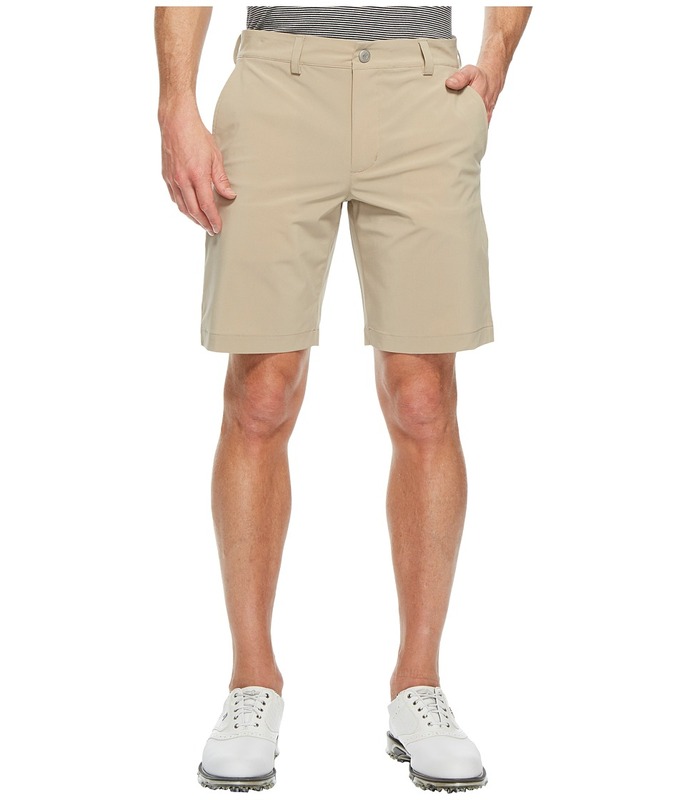 Lightweight, durable performance short takes you from golf course to country club with ease. Added stretch for easy mobility. Quick-dry fabrication for all-day comfort. Mid-rise, belt loop waistband with flat-front styling. Zip fly and button closure. Slant hand pockets. Rear button-through besom pockets. Signature whale embroidered above right rear pocket. 100 percent polyester. Machine wash, tumble dry. Imported. Measurements: Waist Measurement: 34 in Outseam: 19 in Inseam: 9 in Front Rise: 11 1 2 in Back Rise: 16 in Leg Opening: 21 in Product measurements were taken using size 32, inseam 9. Please note that measurements may vary by size. Winning style comes easy when you~re in a chic vineyard vines Skort. Durable lightweight knit with added stretch for easy mobility. Built-in shorts add extra coverage and support with silicon taking for a secure fit. Fitted waistline with a concealed side-zip closure. Striped trim at side hand pockets. Zip-up rear pockets with trim. Signature whale applique at back hip. Straight hem with side slits. 94 percent nylon, 6 percent spandex Lining: 89 percent polyester, 11 percent spandex. Machine wash, tumble dry. Imported. Measurements: Skirt Length: 17 in Inseam: 4 in Waist Measurement: 30 in Product measurements were taken using size SM (US 4-6), inseam 17. Please note that measurements may vary by size. A bad outfit is worse than a bad swing. 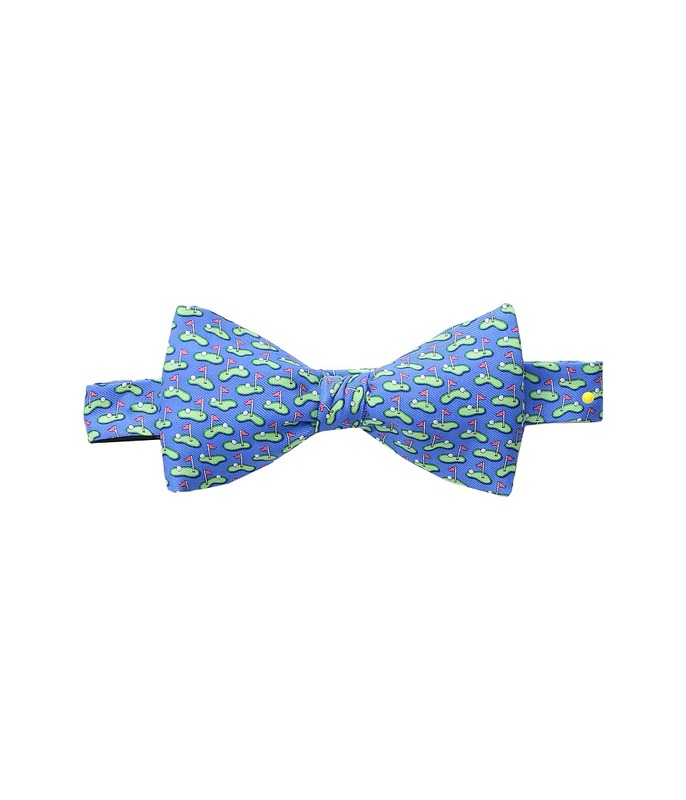 Make sure you~re always dressed in the best with a vineyard vines Performance Polo. Performance fit sits slightly longer at the hem and roomier at the sleeves for a full range of motion so you can swing your clubs in comfort and style. Moisture wicking and wrinkle-resistant knit with quick-drying properties will leave you cool and collected during the heat of the moment. Crafted from a smooth, stretch-poly woven with a stripe design throughout. Self-pointed collar. Short-sleeve construction. Three-button placket with signature etched buttons. Signature whale embroidery at left chest. Straight hem with side vents. 92 percent polyester, 8 percent elastane. Machine wash, tumble dry. Made in Peru. Measurements: Length: 29 in Product measurements were taken using size MD. Please note that measurements may vary by size. They say that the secret to a great swing is all in the hips, so follow through in style with a vineyard vines Scalloped Skort. Lightweight, moisture-wicking twill woven with added stretch for easy mobility. Built-in shorts add extra coverage and support with silicon grippers for a secure fit. Fitted waistline with a concealed side-zip closure. Scalloped trim at side hand pockets. Zip-up rear pockets. Signature whale applique at back hip. Scalloped hem rests above the knee. Skirt: 100 percent polyester Shorts: 87 percent polyester, 13 percent spandex. Machine wash, tumble dry. Imported. Measurements: Skirt Length: 16 in Inseam: 4 in Waist Measurement: 28 in Product measurements were taken using size 2, inseam 17. Please note that measurements may vary by size. Everyday style ebbs and flows with the seasons, but the tides always right with the composed cool of the vineyard vines Breaker Pant. 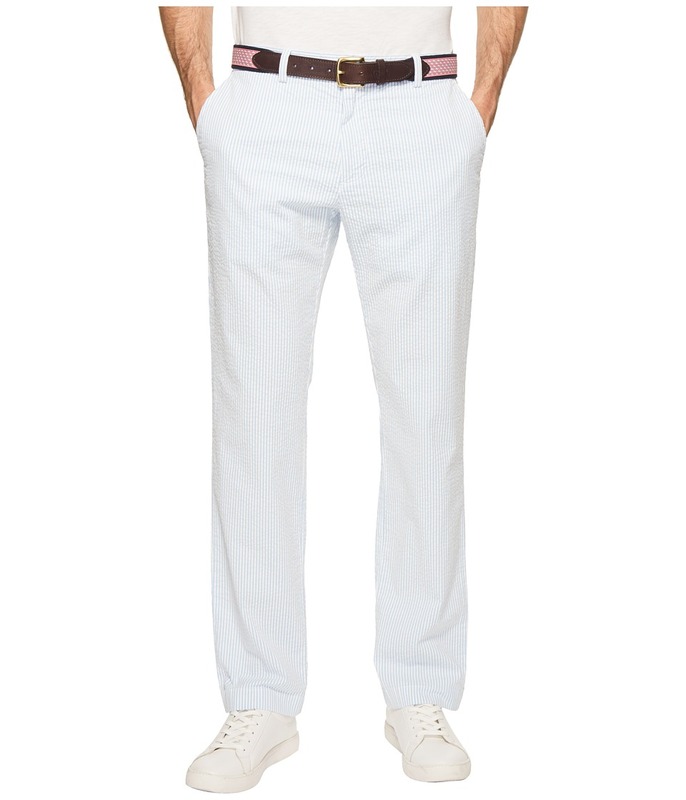 The timeless breaker pant is crafted from a lightweight seersucker woven with added stretch for a comfortable and refined fit that~s perfect for the Hamptons or a day on the golf course. Breaker-fit pant sets the standard for comfort with slight narrowing through the straight leg for a tailored finish. Mid-rise, belt-loop waist with a plain, flat front. Slant hand pockets. Rear button-through pockets. Button front and a zip-fly closure. 97 percent cotton, 3 percent spandex. Machine wash, tumble dry. Imported. Measurements: Waist Measurement: 32 in Outseam: 41 in Inseam: 32 in Front Rise: 10 in Back Rise: 16 in Leg Opening: 14 in Product measurements were taken using size 32, inseam 32. Please note that measurements may vary by size. 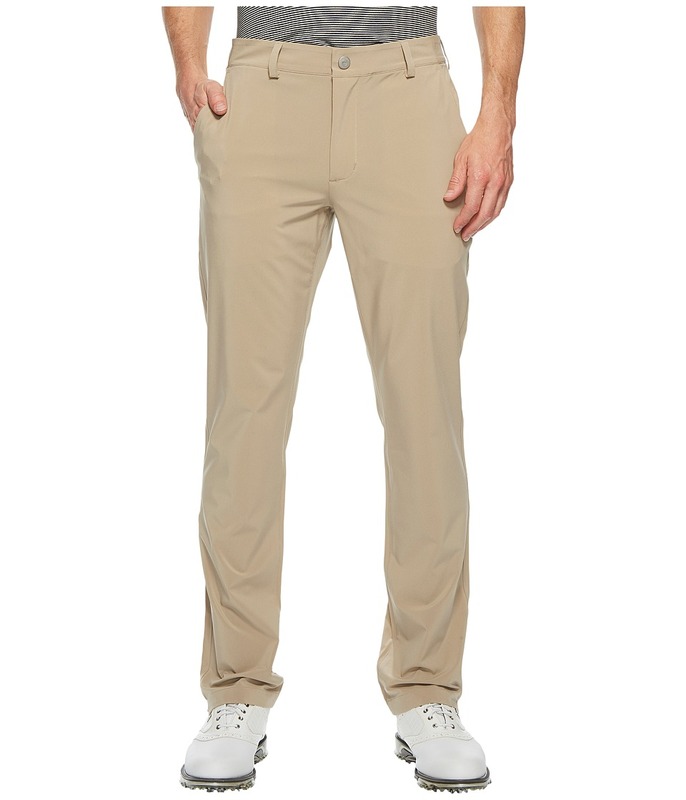 Up the tempo on your golf swing with this sharp vineyard vines Golf Tech Pants. Performance-fit pant is crafted from a lightweight, moisture-wicking fabrication with added stretch for a comfortable wear. Flat-front front styling. Four-pocket design. Curtain waistband with belt loops throughout. Three interior loops at left pocket to store your tees. Signature whale embroidery at back pocket. Button-front and a zip-fly closure. 88 percent polyester, 12 percent spandex. Machine wash, tumble dry. Imported. Measurements: Waist Measurement: 32 in Outseam: 42 in Inseam: 32 in Front Rise: 10 in Back Rise: 14 in Leg Opening: 14 in Product measurements were taken using size 32, inseam 32. Please note that measurements may vary by size. A bad outfit is worse than a bad swing. 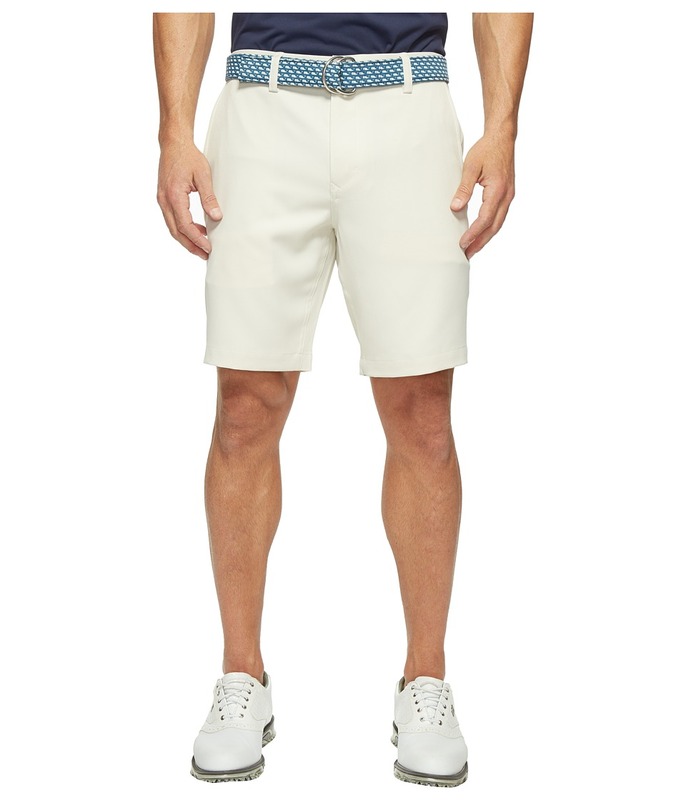 Make sure you~re always dressed in the best with a vineyard vines Golf Shorts. Performance-fit short is crafted from a lightweight, moisture-wicking fabrication with added stretch for a comfortable wear. Flat-front front styling. Curtain waistband with belt loops throughout. Four-pocket design. Three interior loops at left pocket to store your tees. Signature whale embroidery at back pocket. Button-front and a zip-fly closure. 88 percent polyester, 12 percent spandex. Machine wash, tumble dry. Imported. Measurements: Waist Measurement: 35 in Outseam: 19 in Inseam: 9 in Front Rise: 10 1 2 in Back Rise: 15 in Leg Opening: 21 in Product measurements were taken using size 32, inseam 9. Please note that measurements may vary by size. 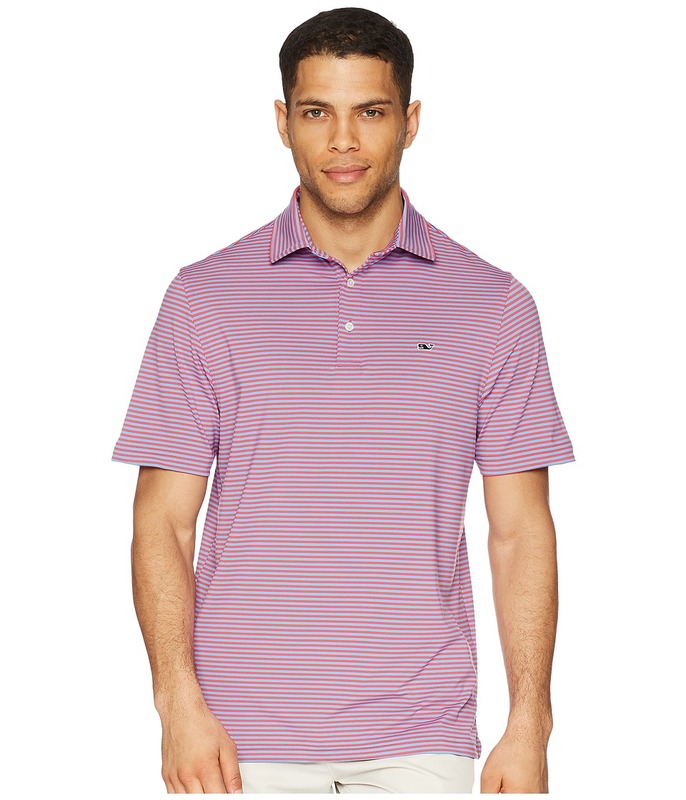 Get a grip on sharp-looking style with a vineyard vines Stripe Polo. 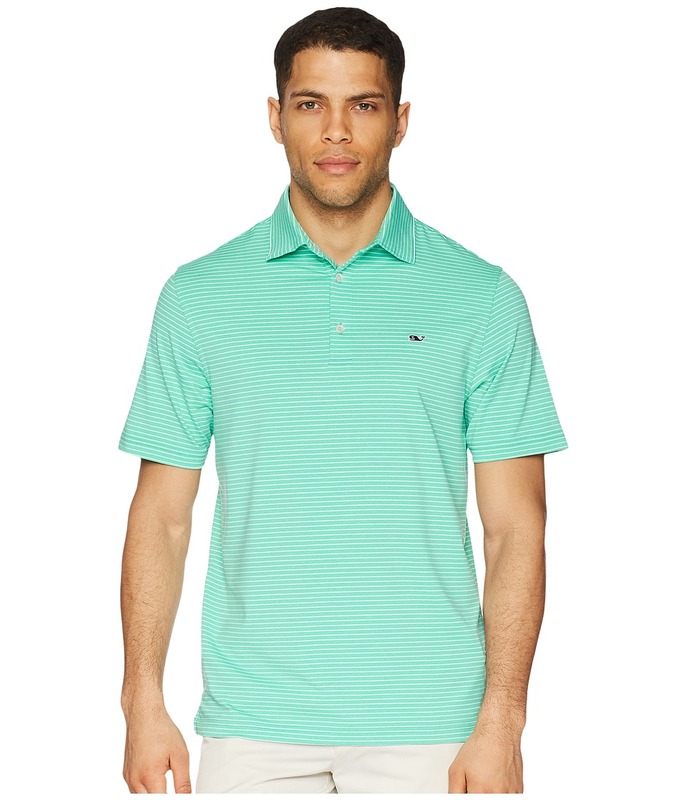 Performance knit polo takes you from the golf course to the club house with style and ease. Moisture-wicking property keeps you performing at your best. Lightweight durable-stretch knit for easy mobility. Self-pointed collar and short sleeves. Three-button placket. Signature whale embroidery at left chest. Straight dropped tail with side vents. 92 percent polyester, 8 percent spandex. Machine wash, tumble dry. Made in Peru. Measurements: Length: 30 in Chest Measurement: 20 in Sleeve Length: 19 1 2 in Product measurements were taken using size MD. Please note that measurements may vary by size.